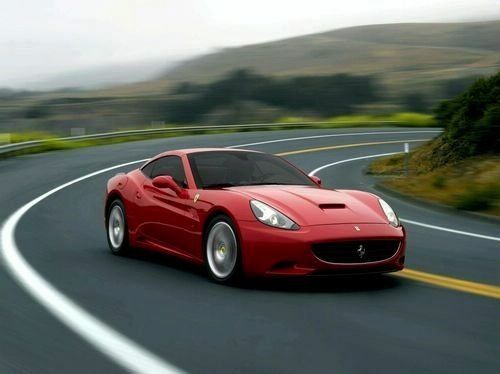 The new Ferrari California that will likely be launched in 2014 or 2015 could be coming with a new powertrain and running gear. AutoCar is reporting that Ferrari has been testing a new turbocharged engine in a new California test car which onlookers reported to sound “like a turbocharged unit.” The engine will likely be a new version of the current V8 powerplant that is now being produced at Maranello. The test car that was seen at the Fiorano test circuit has a raised hood line and extra cooling vents could be seen which could also be a good indication that Ferrari has stuffed a turbocharger into the new California tester. The turbocharged engine would be taller and would require additional space under the hood for cooling. The exhaust on the new California also looked different, but AutoCar says this could be because of noise restrictions that are strictly enforced due to keep the local residents happy. The new Ferrari V8 has already been developed and in production in the new Maserati Qattroporte. The 3.8-liter engine features a twin-turbo, but there is no indication that the new California would get this exact V8 powerplant. Ferrari says the new V8 that appears in the Maserati is “thoroughly theirs,” having been designed and built in Maranello at their new $65 million facility. As with most high-performance automakers like Shelby American in the U.S., Ferrari is working on smaller high-performance engines in order to meet the new stricter government exhaust and emissions regulations. Carroll Shelby says, “I think you're going to see the industry going completely to small engines with turbochargers. That's the only way you can get the mileage that the government is going to be demanding.” Ford is now working on a smaller turbocharged V6 engine for the next-generation Shelby GT500. Ferrari is also reported to be working on downsized engines to meet tougher exhaust and emissions tests, with speculation suggesting that a future California model could even include the first road car V6 since the 1968 Dino. But this could be down the road and the new California is likely to see a turbo V8. Sources suggest that “a lightly blown” 3.8-liter V8 could easily match the 490 horsepower output of the current California’s naturally aspirated 4.3, and still meet current exhaust and emissions tests. With the twin-turbo Quattroporte already making 515 hp, Ferrari could easily use the current V8 in the next-generation California. But we could be nearing the end of V8 power, and the California that is due out somewhere between 2014 and 2015 could be the last version to be powered by a V8 engine. All indications are that the performance industry as a whole will need to move in the direction of smaller engines with turbochargers. Ford has already achieved some amazing results with their award-winning 1.0-liter turbocharged three-cylinder EcoBoost engine. The engine scored one of the fastest lap times ever at Germany’s famed Nurburgring Nordschleife circuit in a Formula Ford race car. The one-off single-seat racer completed the lap in 7 minutes, 22 seconds to register the 11th fastest time ever on the circuit. With the new California, it looks like it will be getting a new turbocharged V8 powerplant, and is suggested that it will arrive in late 2014 or early 2015. The current model will sprint from 0-62 mph in just 3.8 seconds. The new 2014/2015 Ferrari California with a turbo V8 will likely be even quicker.